Anyone who knows me knows how much I LOVE anything rustic and shabby chic! I love creating my own shabby chic decor and I love getting inspiration and admiring other's versions of it. 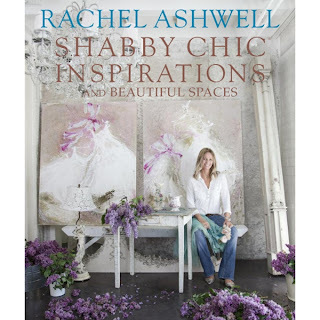 And I'm so excited about being one of 35 bloggers who gets to meet the "inventor" of shabby chic, Rachel Ashwell, at the end of the month, at her new B&B, The Prairie, in Round Top, TX. I am beyond estatic--meet & greet with Rachel, network and lunch with the other amazing bloggers who were able to snag a spot on this exclusive event, enjoy the delicious food from Royer's Cafe, take in all the fabulous decor, shop, and relax a little in the country---sigh! Can I get a WHOOP?!?! And the best part about this trip is I get to experience it all with my sweet, sweet friend Jessi from The Reel World Texas, who I swear we were separated at birth because of our love of all things shabby chic! Have I said how excited I am? I am thrilled to be there too!! Looking forward to meeting everyone!! It's going to be so much fun! What an honor! See ya'll on the Prairie. Can't wait to meet everyone on The Prairie!!! Excited to meet you and explore the prairie together!! see you Soon!